Surrender at 20: Red Post Collection: "We are vengeance", Vi's E bug, Sion Passive change in 4.19, and more! Red Post Collection: "We are vengeance", Vi's E bug, Sion Passive change in 4.19, and more! This morning's red post collection features a new mysterious "We Are Vengeance" post on the League of Legends facebook page, Gypsylord commenting on a bug with Vi's E, Riot Scruffy on an upcoming change to Sion's passive, and more! 10/30 PBE Update: Reaper Sorkaa splash art, updated Wukong and Singed splashes, new End of Game assets, Summoner's Rift login, and more! The teaser previously seen on the OCE LoL facebook page has been posted on the general League of Legends Facebook page with the text "We Are Vengeance". Post by League of Legends. 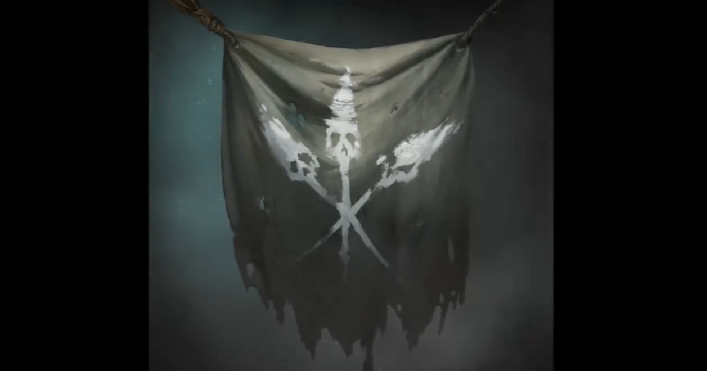 This same three skull / spear banner can be found on the "Mark of the Betrayer" summoner icon that is part of the Hexakill: Twisted Treeline rewards and on the top right side of this year's Harrowing login screen. This teaser also features the same dark mist and teal light that has been spotted on seven different champion profiles. 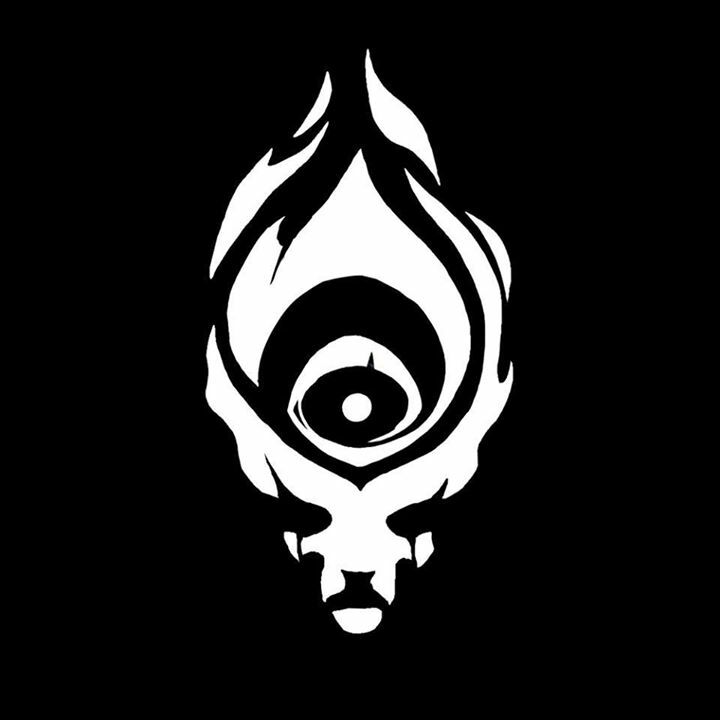 Following up on the initial BR forum post by the "Fabulist" account from earlier this week, the "Fabulist" account has now become embraced by the darkness and has been answering questions. You can find community translations of the Portuguese to English posts here: Set one, Set two, and the latest set. Fabulist seems to becoming more and more hostile as well as answering questions as "we". Spooky. The same creepy head image is also present on the Harrowing promo page , the Shadow Isles crest summoner icon, and, as Becca Roberts shared on Twitter, on banners at the Lucca Comic and Games convention in Italy where they are "celebrating the Harrowing and Italian National tournament Finals". 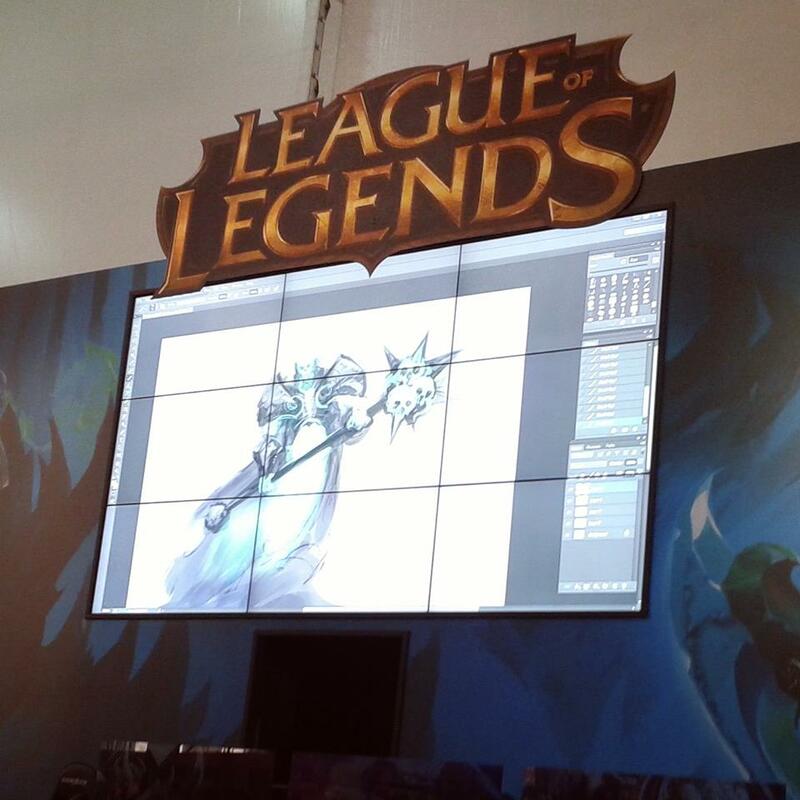 You may remember that Lucca from last year when Riot produced unique art for the event and did a live art demo of what would eventually be released as Winter Wonder Lulu. 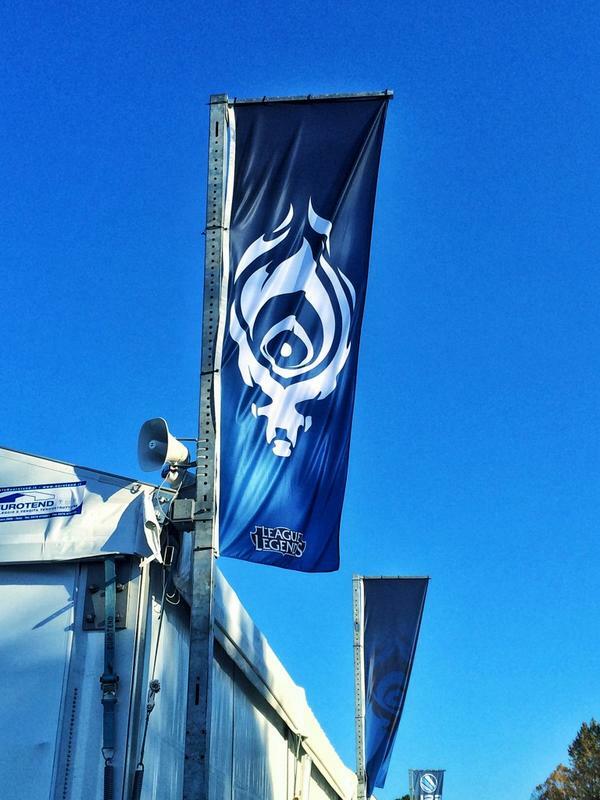 According to this reddit post, they are showing off Shadow Isles inspired concept art at this year's event. Be aware this has not been confirmed as being a champion or anything that will make it into League of Legends. Manage your (spooky) expectations appropriately. Again, this has not been confirmed to be anything more than concept art demo at an event. Our theme for Lucca Comics and Games 2014 is 'The Harrowing' and we have several artist panels showcasing the art of the Shadow Isles. 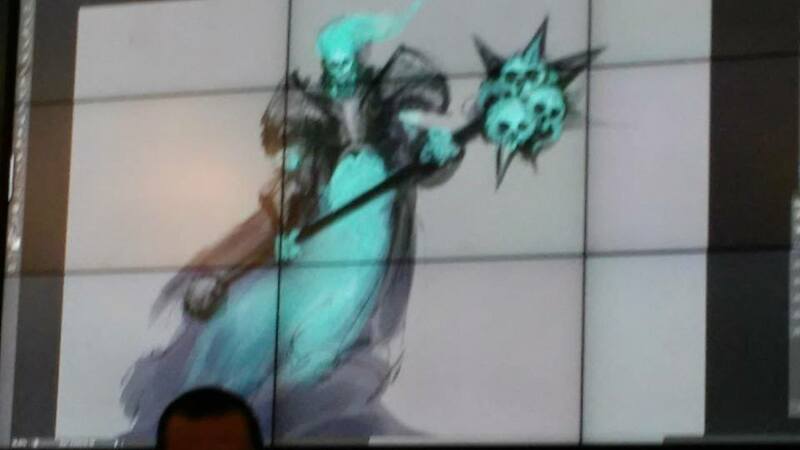 This particular talk was showing how we created ghostly figures used in the concept art and is a representation of an ethereal being that might be seen somewhere in the Shadow Isles. We showed the artistic process of sketching and colouring for all the people watching. It is not a concept sketch of a new champion. We mentioned that during the talk several times but will make that clearer on screen for future presentations so that we can avoid confusion." Gypsylord POWERSLAMMED on to reddit to comment on a bug currently plaguing Vi's E, causing it to not properly deal damage. "We're hoping to get a fix in for this in the next patch. Strangely enough, Vi's winrate has not been impacted. Likely partially because her E has bonus functionality! The cone is failing but the attack itself is not and she hits things in a circle near the impact point in addition to the cone. This allows her to still AoE jungle camps effectively if she groups them close enough together. Sorry for the inconvenience. We'll have her patched up soon. In the meantime try to group things a little closer together to hit them with E's AoE circle (hint: Your Q vacuums creeps)"
In addition to the other Sion changes currently planned for 4.19, Riot Scruffy also mentioned they intend to switch Sion's passive's HP drain from a % of his max HP to flat HP! "This is actually something we are doing for the next patch. Flat HP amount drain (based on char level) instead of % max HP. It was a silly thing that he was punished for building tanky with the old system. So yea, good change." I haven't seen this topic come up in a while, and I'd be glad to give some insight. There have been some experiments in the past with adding footsteps and movement sounds to the Champs. Results were mixed, and often times ended up getting annoying. BUT, that isn't to say that we would never think about adding them sometime down the road. Honestly though, it's a Herculean task at this point, and probably isn't realistic; but never say never. "Yeah, maybe it's something that would just get cut out when in battle - there are definitely things we could do to make it not annoying. It's good to know it's something you guys are interested in, and I agree, the fine audio folks at Valve did a good job with this type of system in Dota 2.